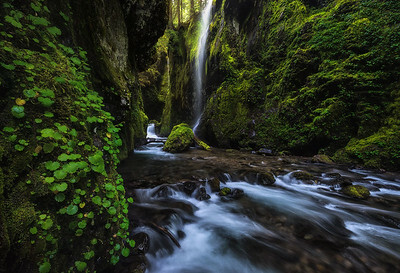 The always redundant but glorious Falls Creek Falls, Washington. 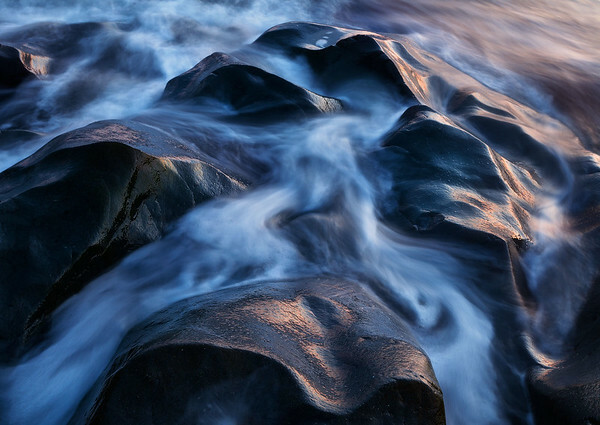 Crashing waves wash through this rock formation as the sun sets along the Olympic Coast, Washington. 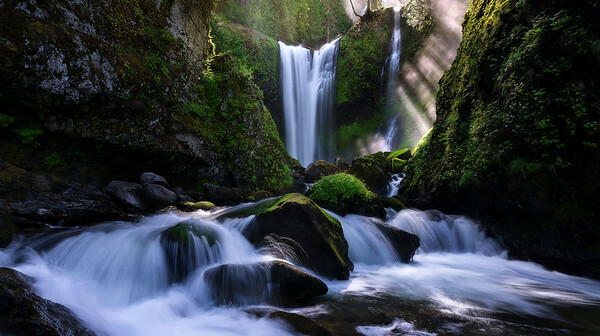 Light beams fill the canyon next to Upper Oneonta Falls, Oregon. 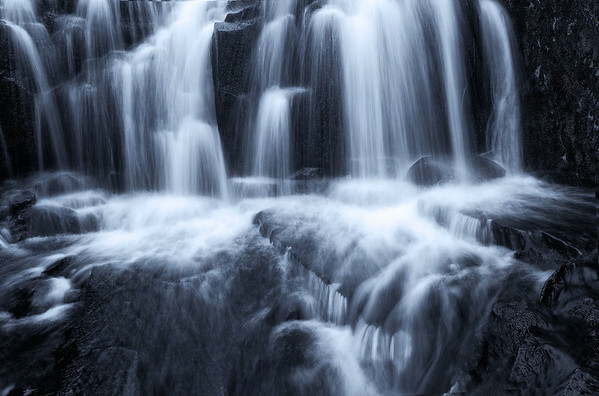 A small but pretty waterfall in Mt. 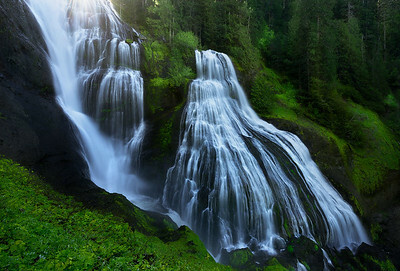 Rainier National Park, WA. 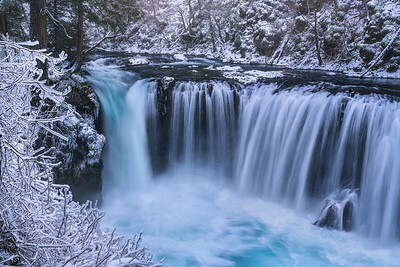 It is always an adventure getting down to Spirit Falls, and adding snow didn't make it any easier. 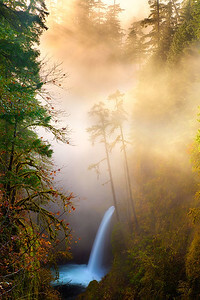 However, when such a beautiful place beckons it is totally worth it! 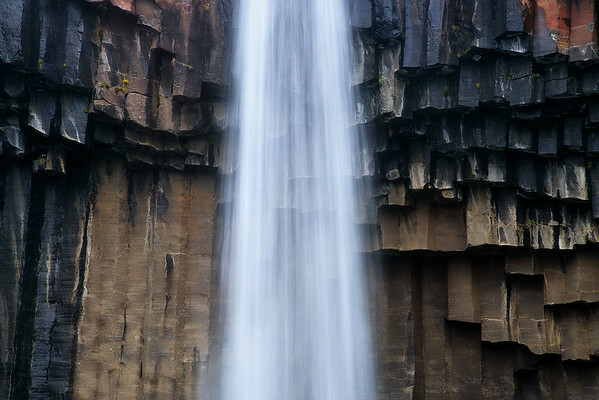 One of my favorite waterfalls. 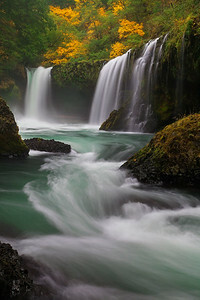 Spirit Falls, WA. 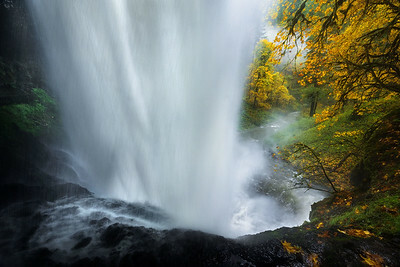 A sheet of water plunges over Lower South Falls in Silver Falls State Park after days of heavy rain. 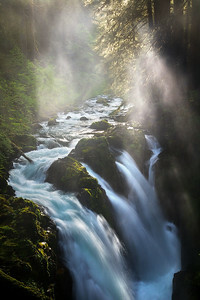 Sol Duc Falls, Olympic National Park, Washington. 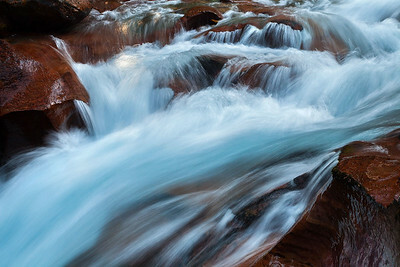 Water rushes down Avalanche Creek after heavy rain in Glacier National Park. 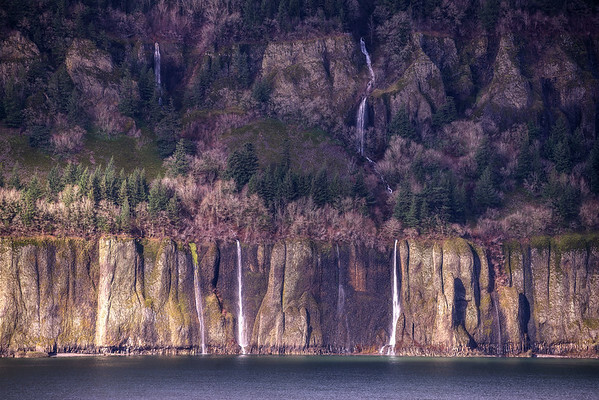 Beautiful fall conditions from this classic vantage point in the Columbia River Gorge. Unfortunately the viewing area washed out in the winter of 2016-17. 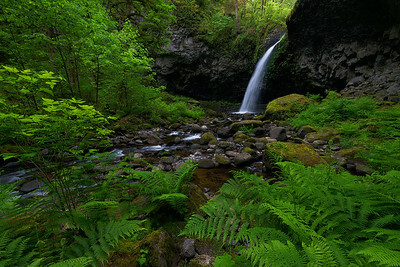 One of my favorite hidden gems in the Columbia River Gorge. 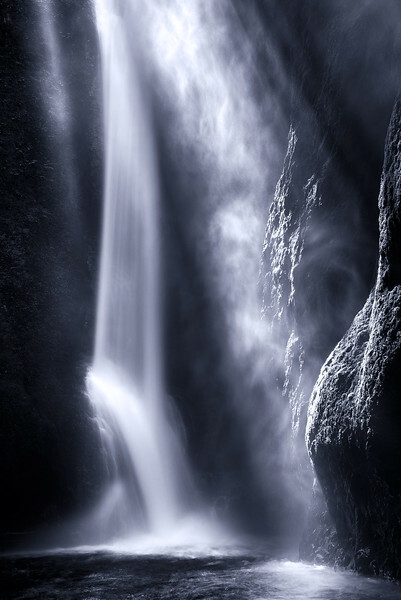 Fairy Falls tends to look larger in photographs than in reality. Despite its relatively small stature it is one of my favorites. 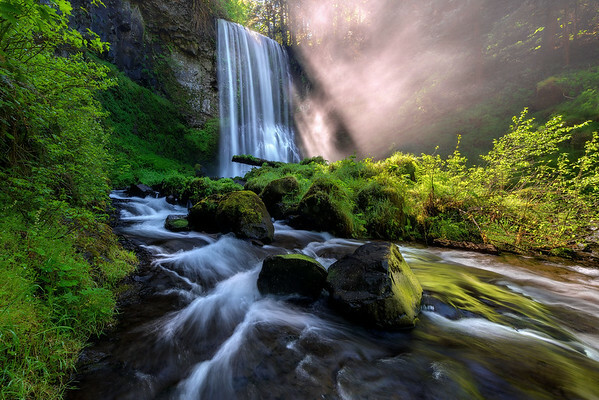 Columbia River Gorge, OR. 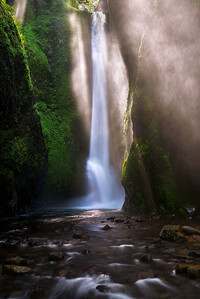 After days of heavy rain this section of the Columbia River Gorge had multiple waterfalls crashing down into the river. 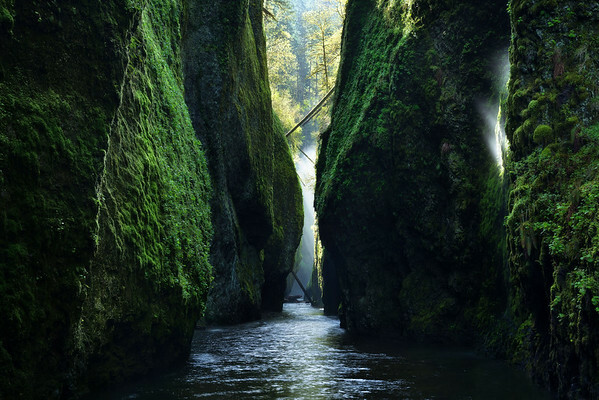 Light beams and mossy goodness in Oneonta Gorge. 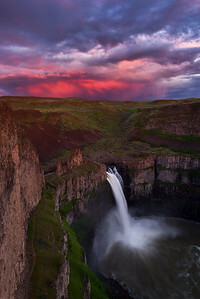 Palouse Falls under a fiery sky, Washington. This is usually an easy spot to get to, but snow still blocked the road making it a 13 mile round trip hike making it feel like a much more epic adventure than it should have. 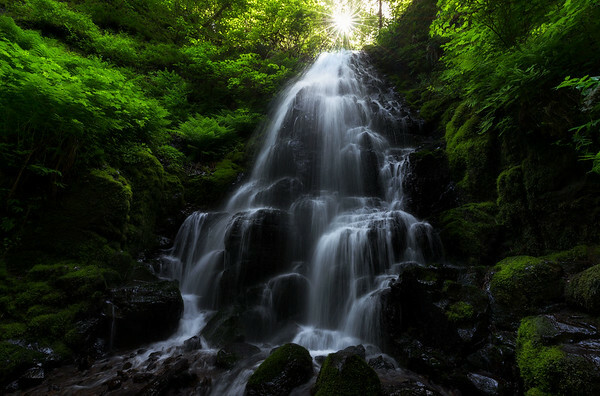 A massive waterfall tucked away in the Gifford Pinchot National Forest, WA.